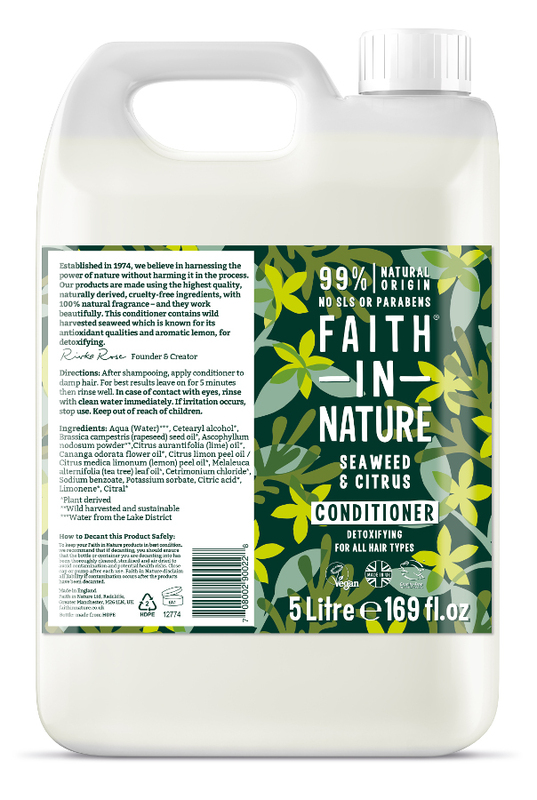 The wild harvested organic seaweed used in this Seaweed Conditioner from Faith In Nature comes from the unpolluted deep sea rather than collected from the shoreline after it has died and is combined with aromatic lemon aromas. Rich in iodine, selenium and other essential trace minerals and proteins, it is a strong anti-oxidant removing free radicals and reducing cellular damage. 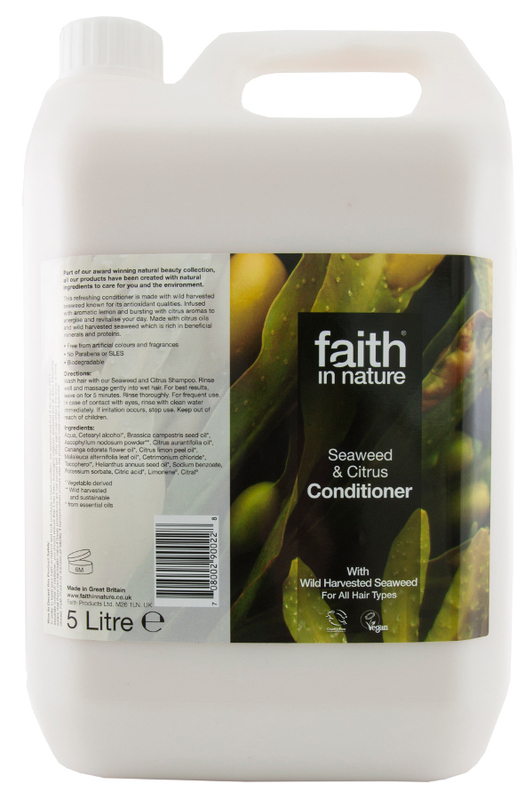 Seaweed regenerates and promotes healthy hair, stimulating the hair shaft and is often helpful for dandruff. 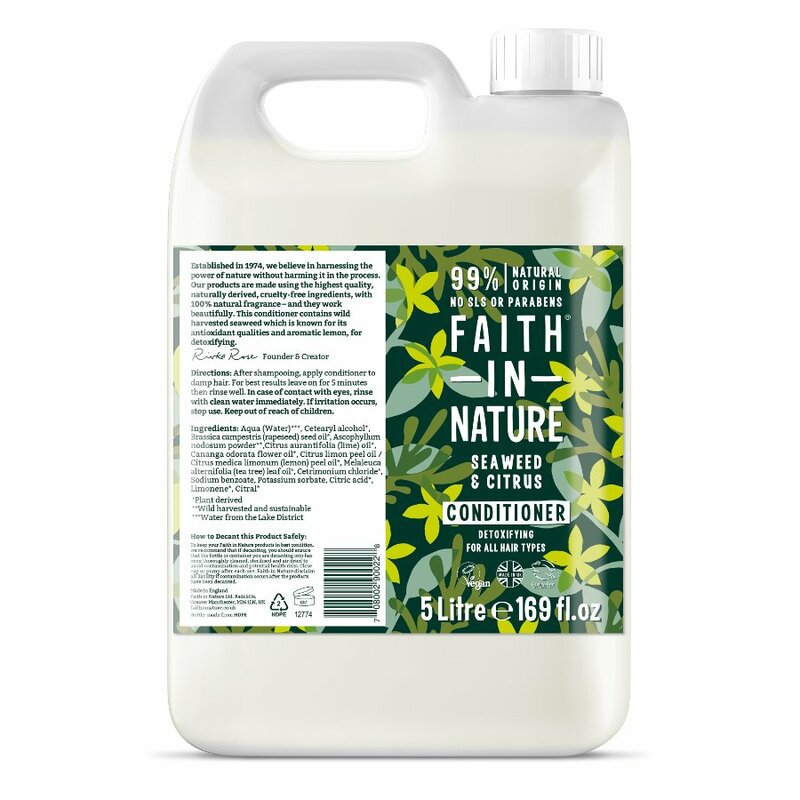 This shampoo is enhanced with a subtle and refreshing blend of aromatherapy oils. 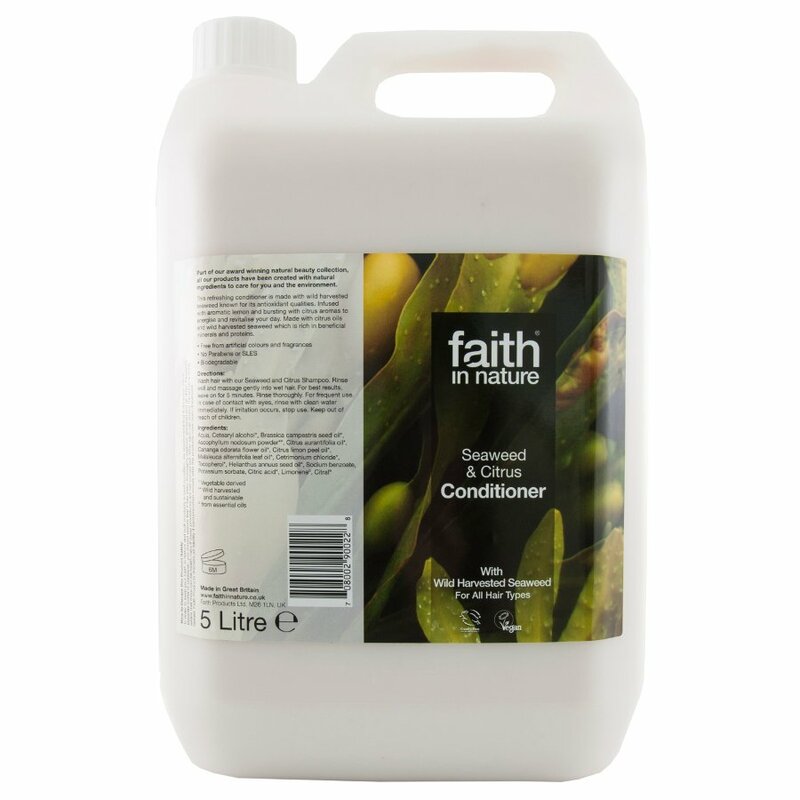 There are currently no questions to display about Faith In Nature Seaweed & Citrus Conditioner - 5L.